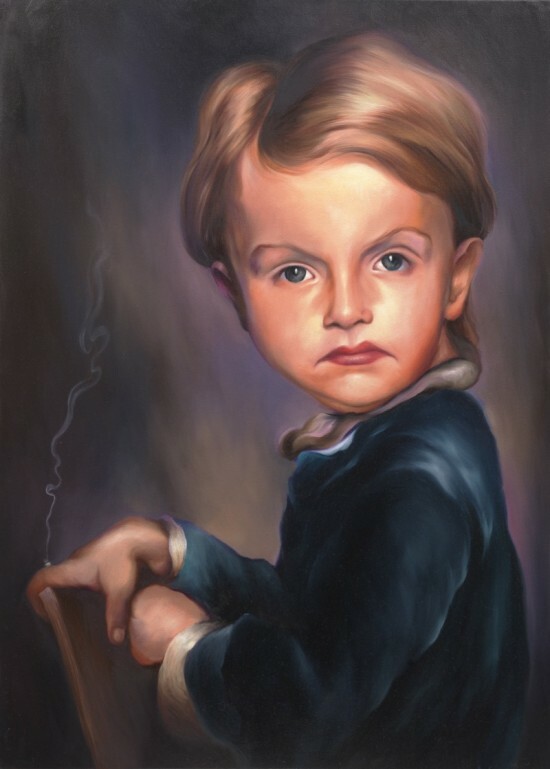 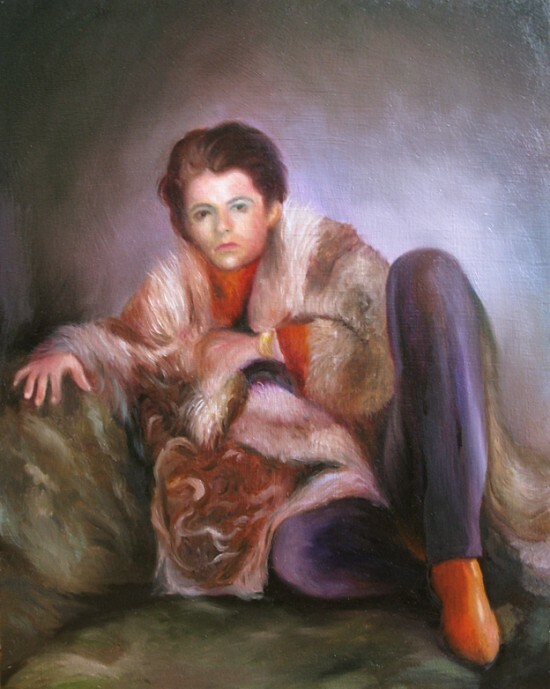 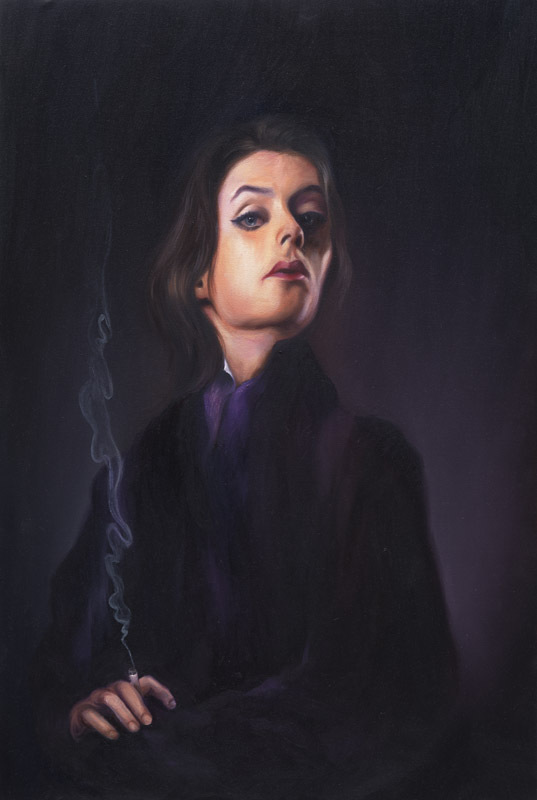 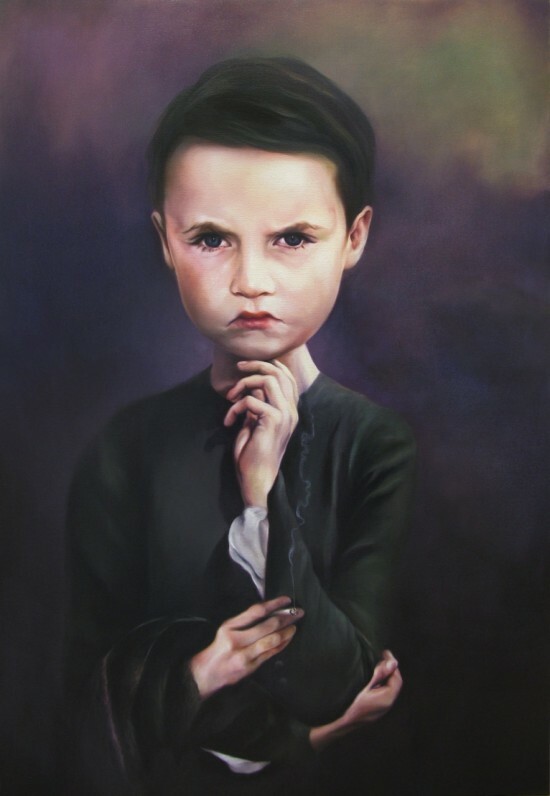 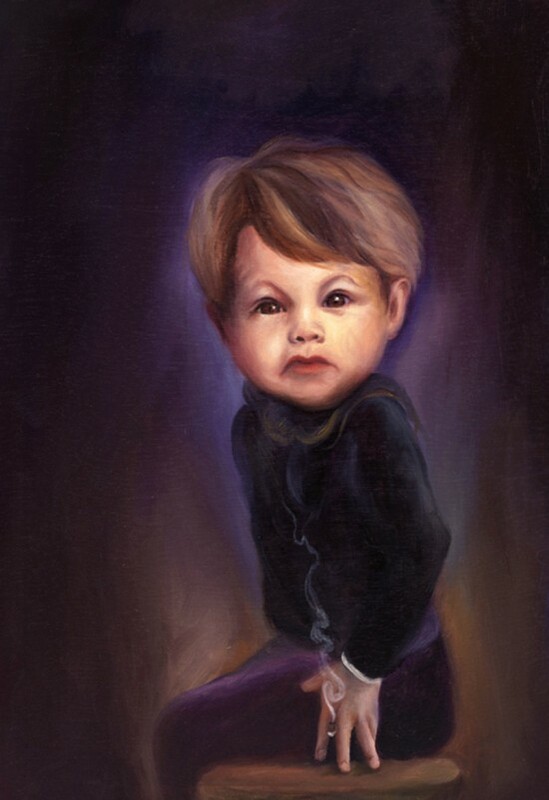 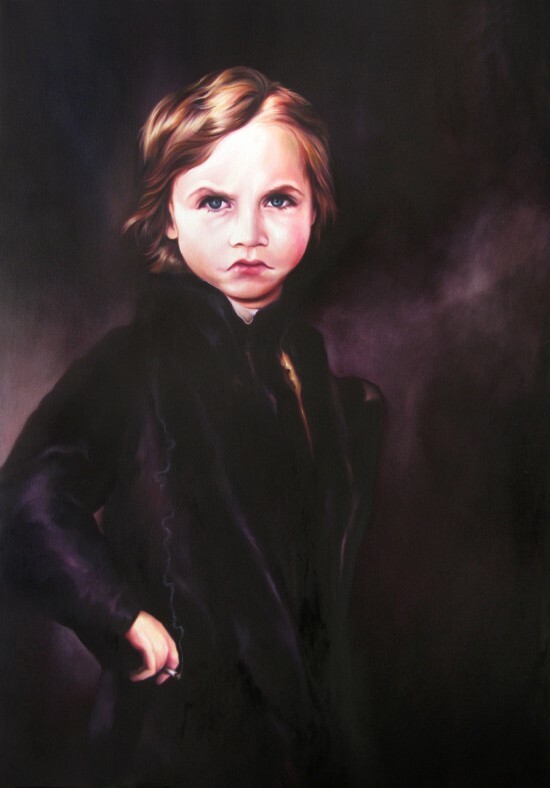 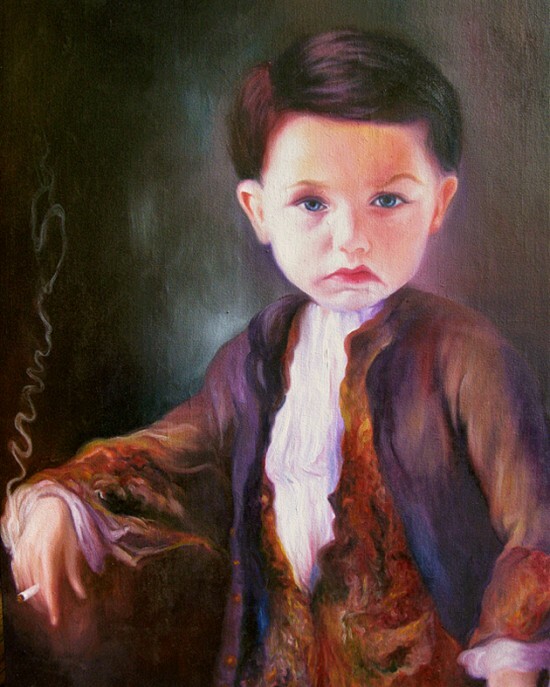 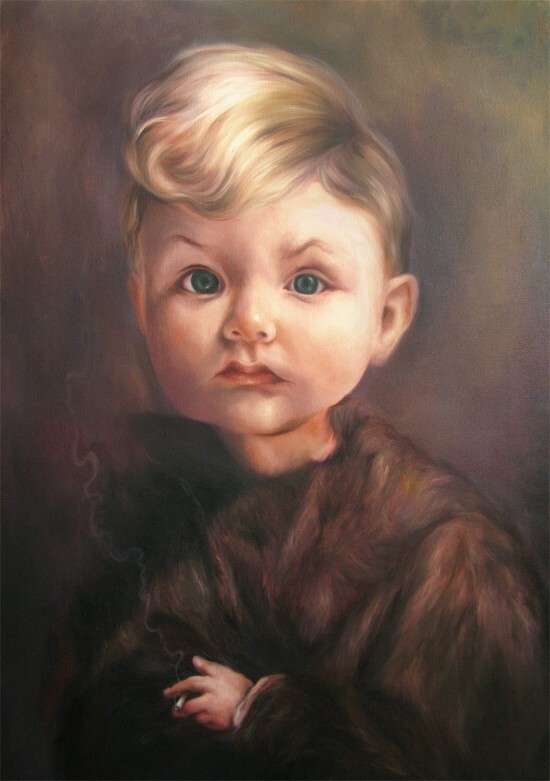 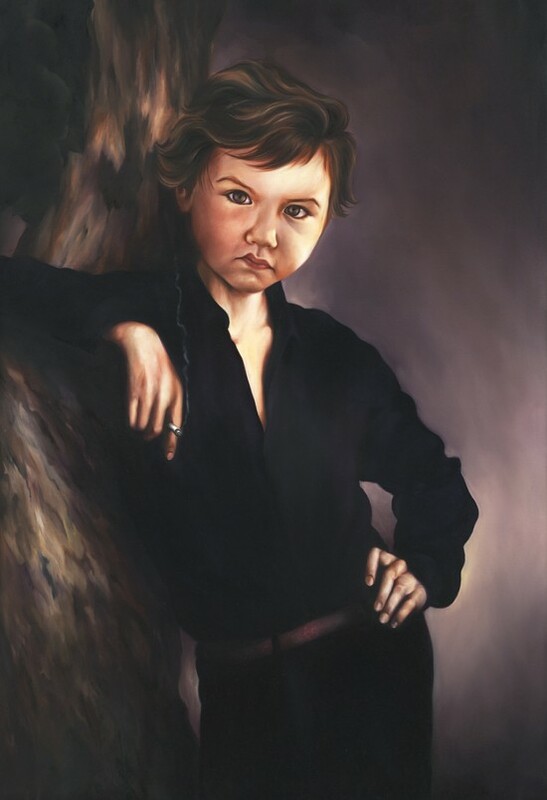 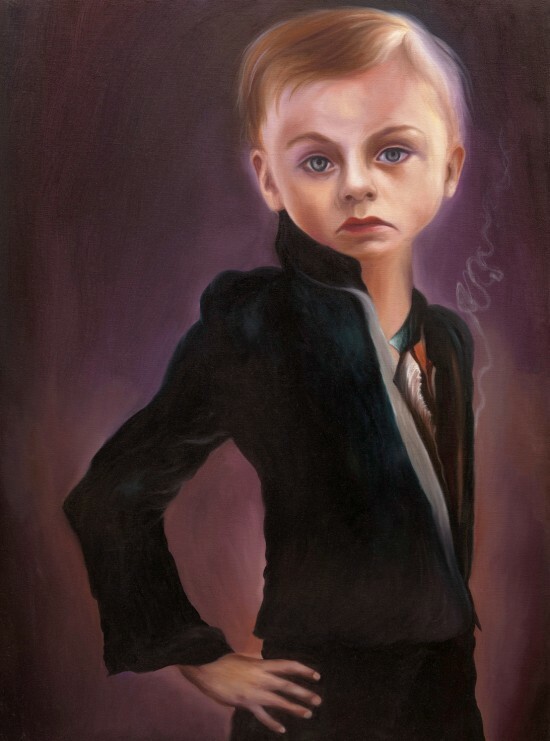 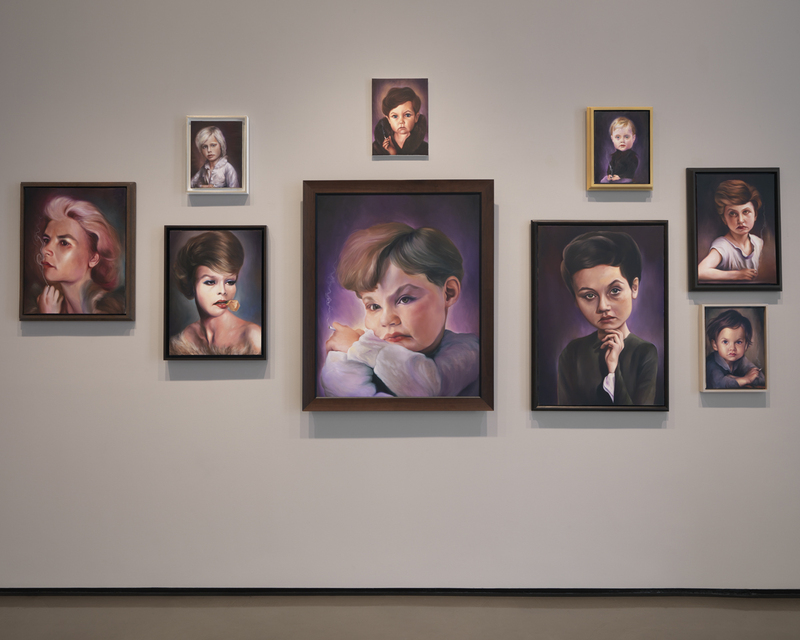 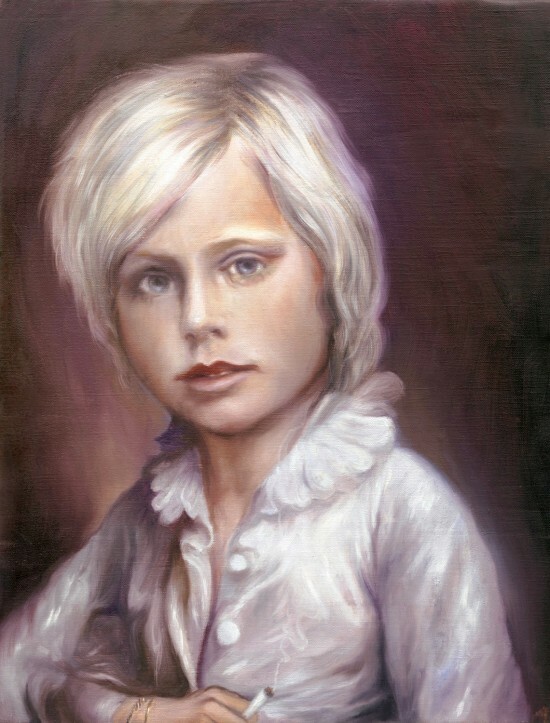 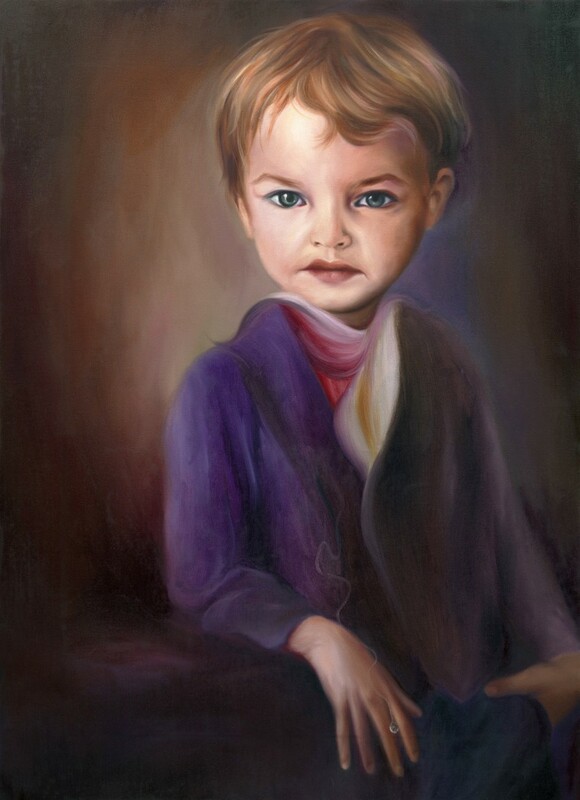 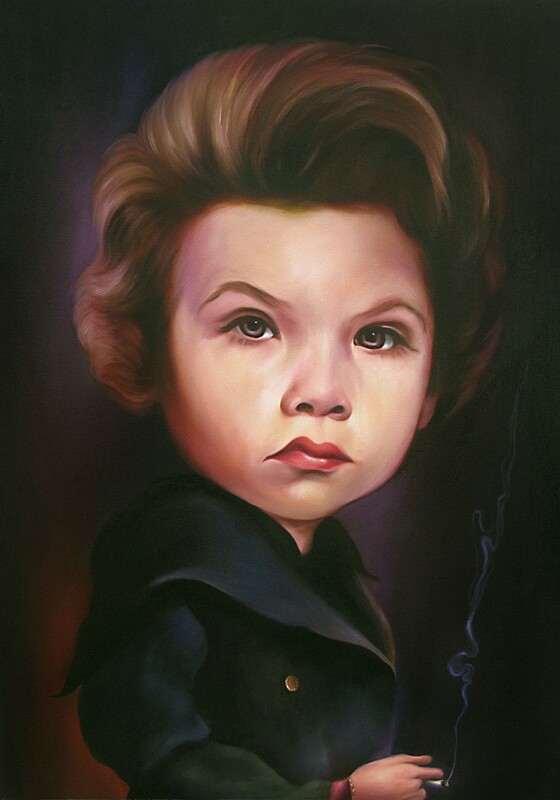 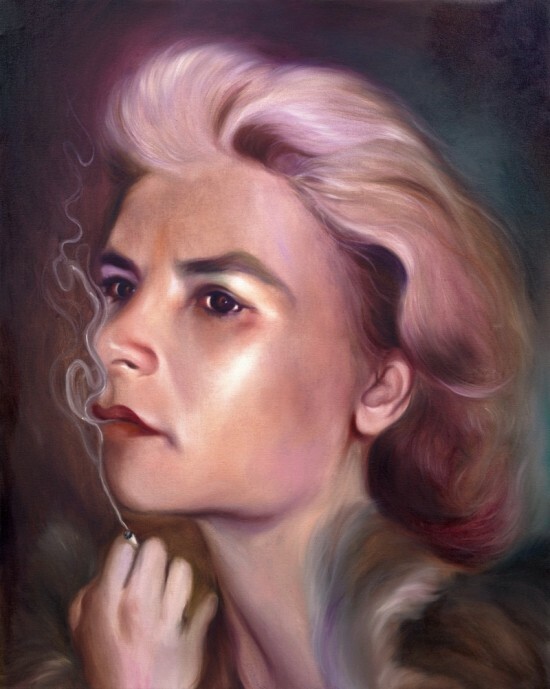 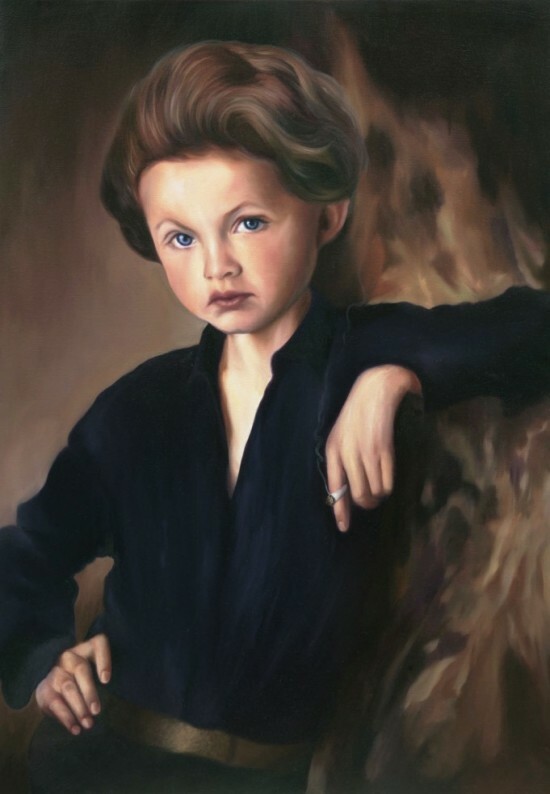 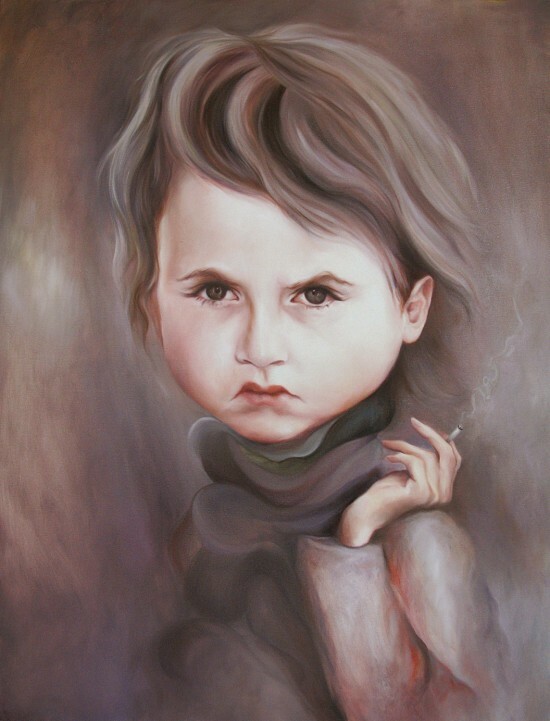 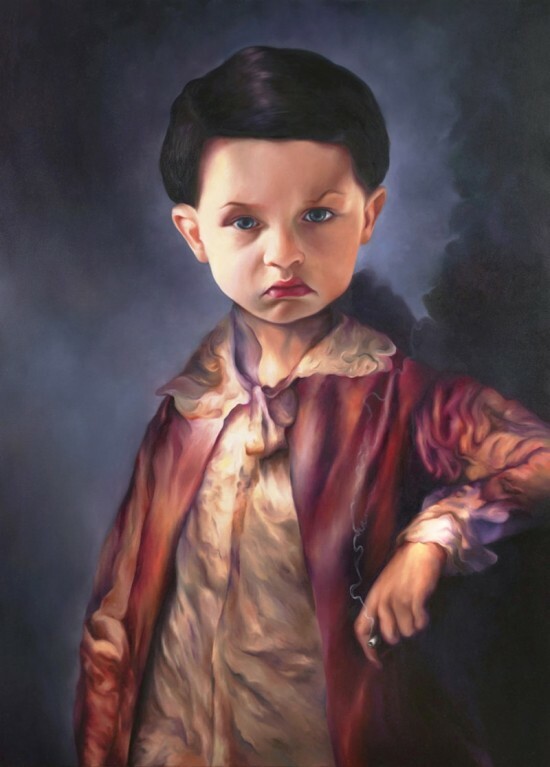 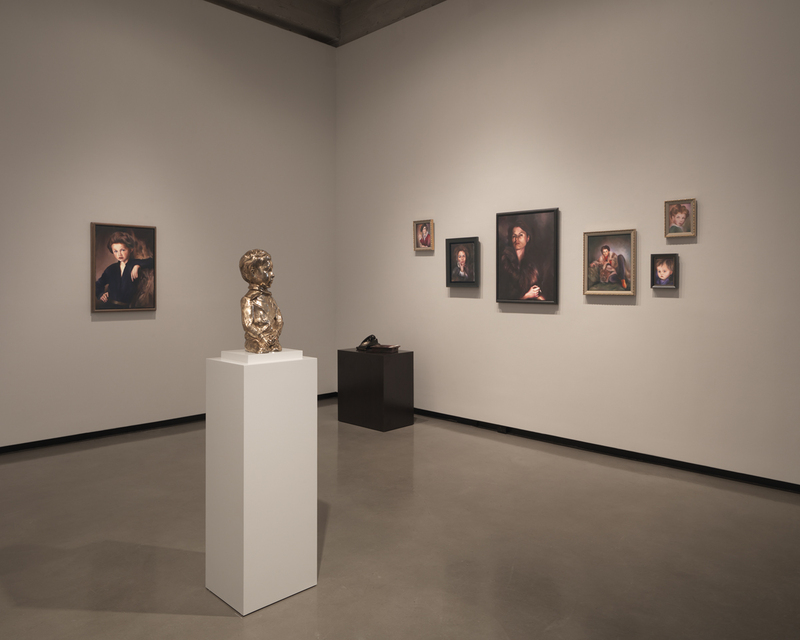 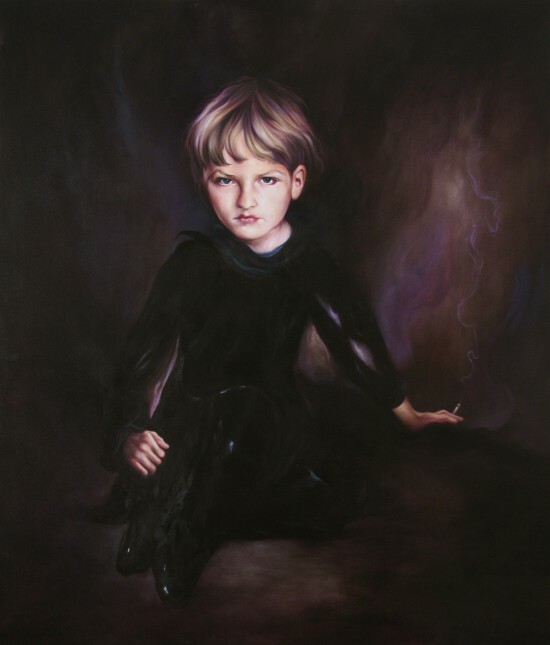 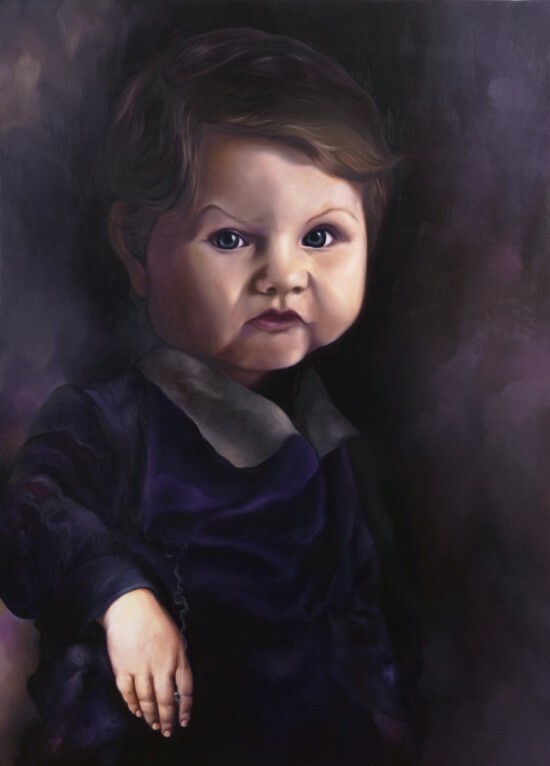 Entitled Genius, new paintings and sculpture from Hod’s series of precocious and melancholic young men and women. 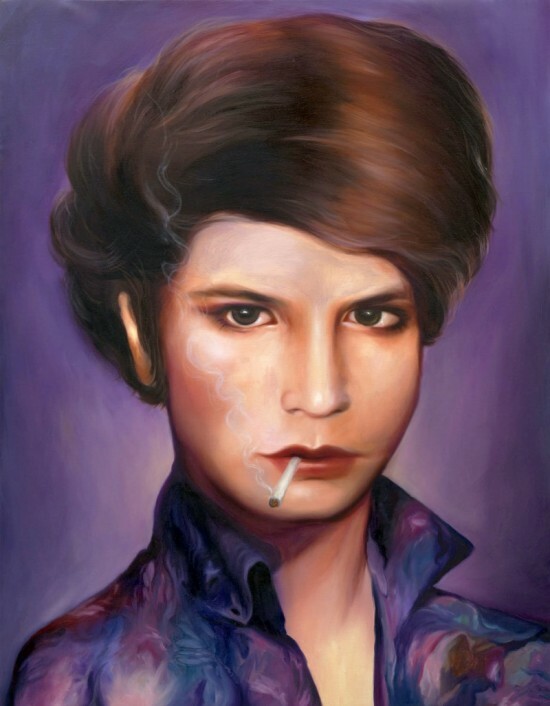 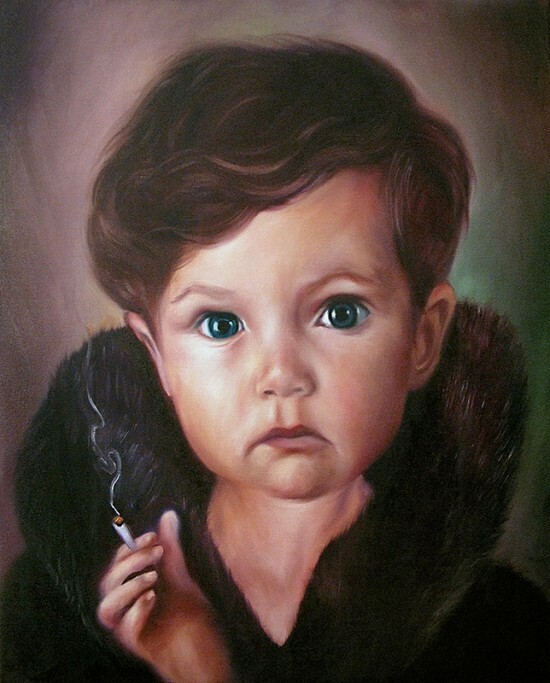 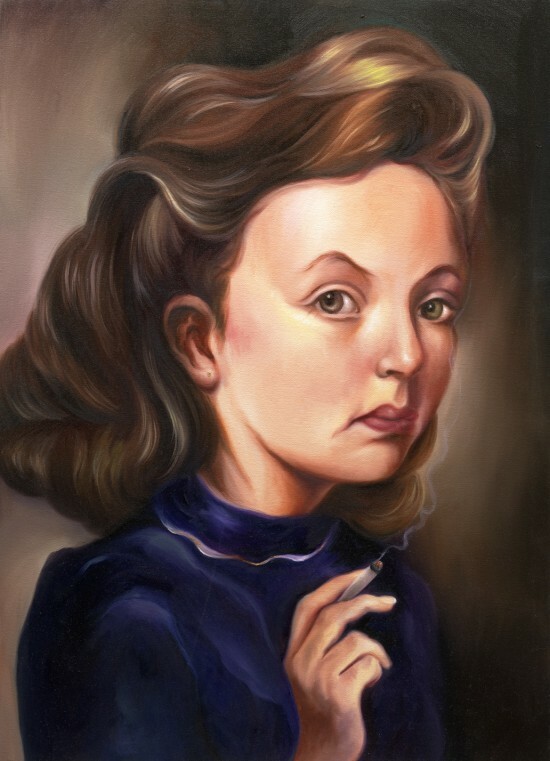 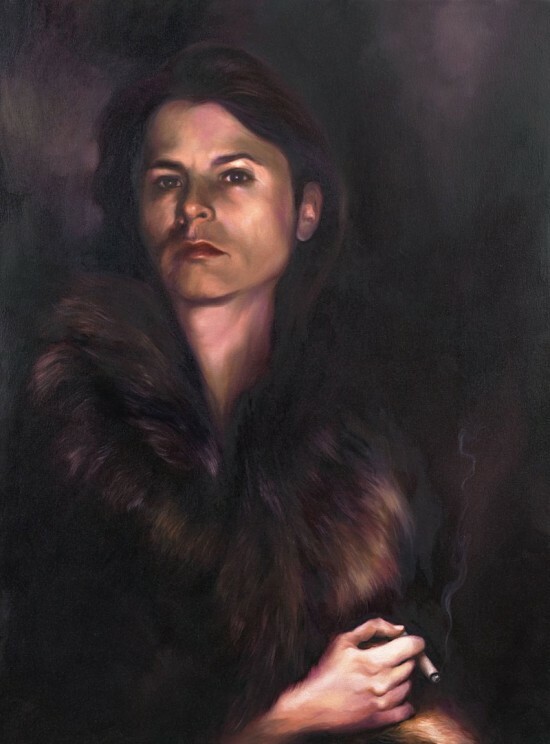 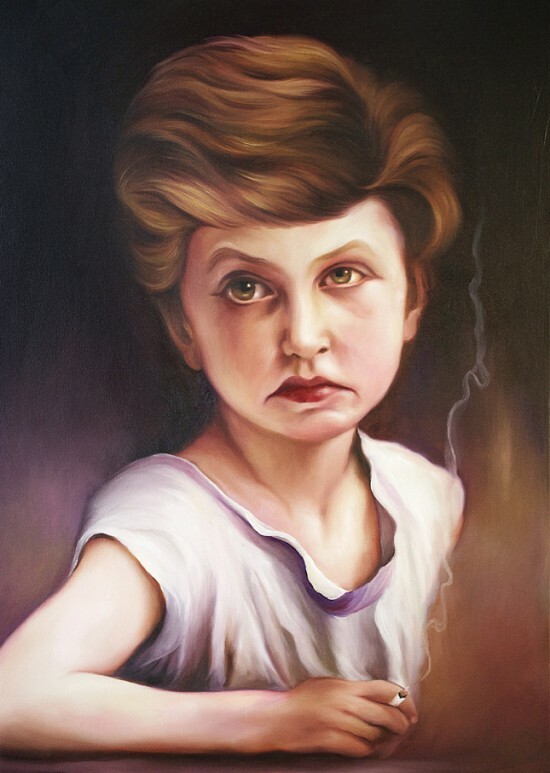 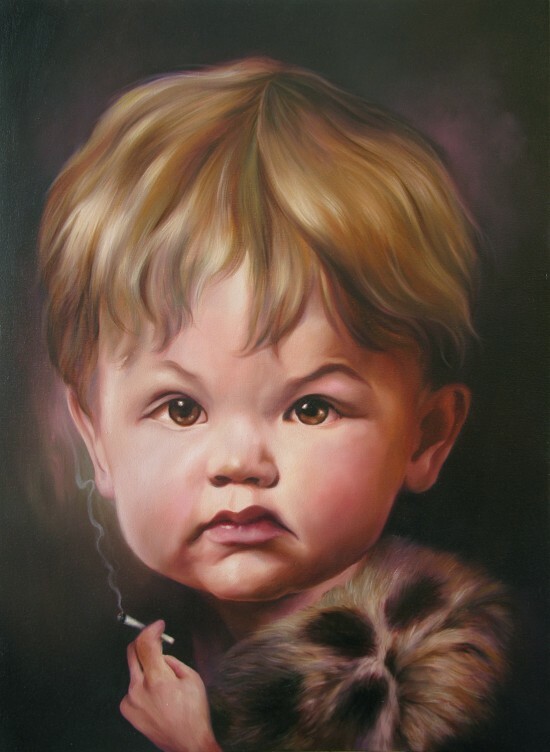 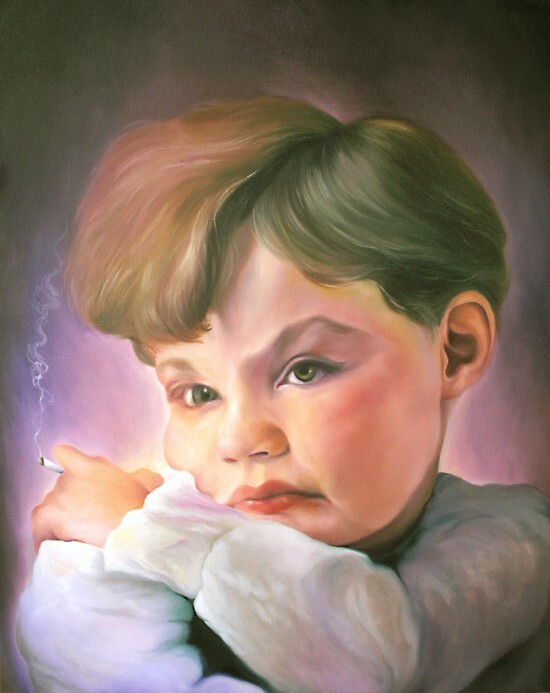 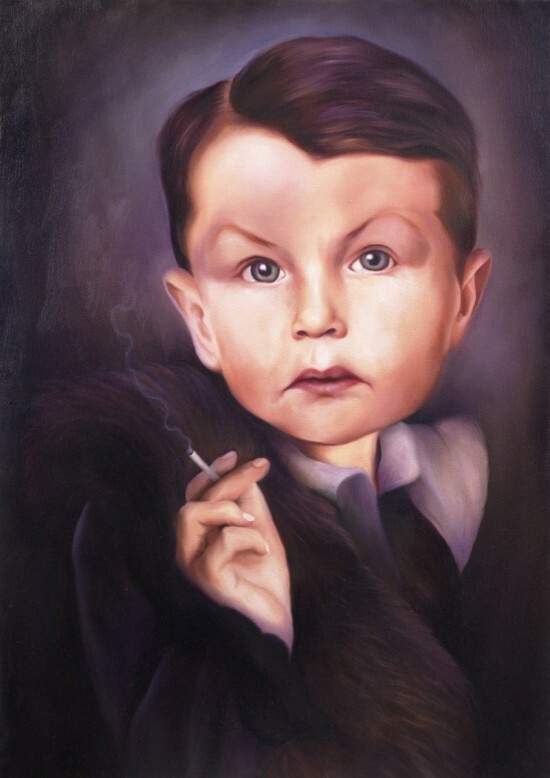 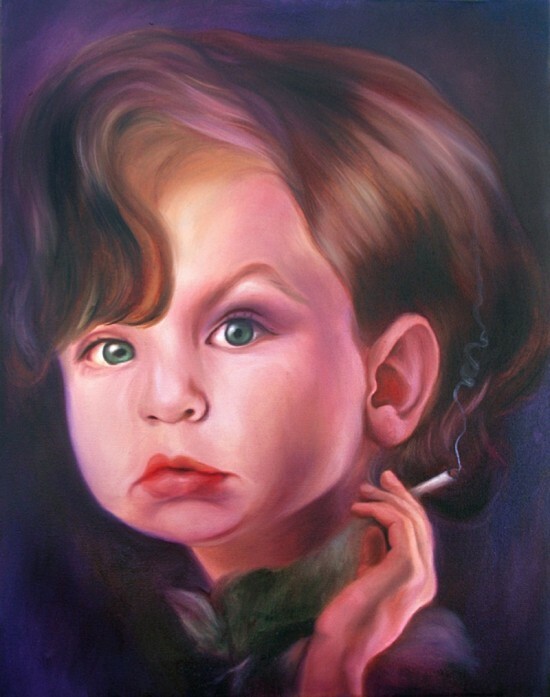 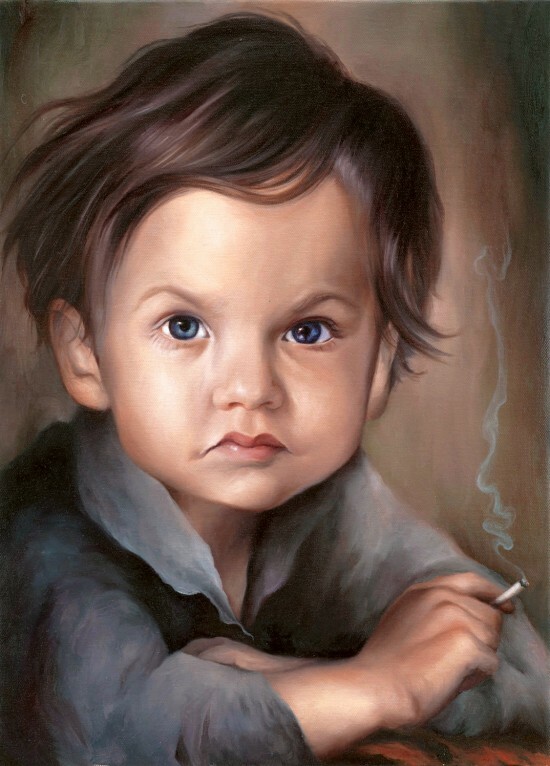 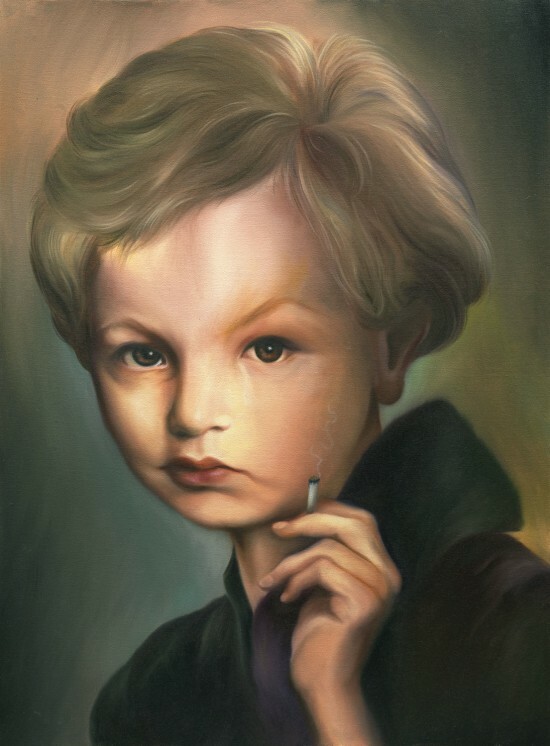 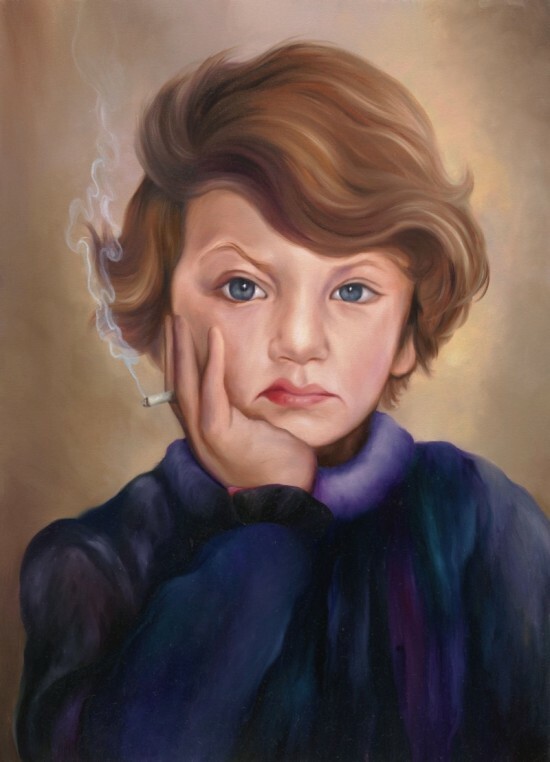 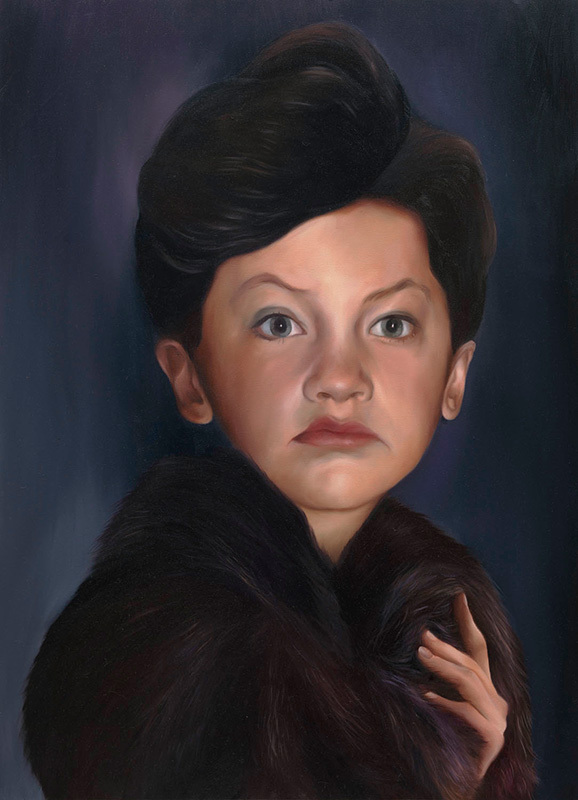 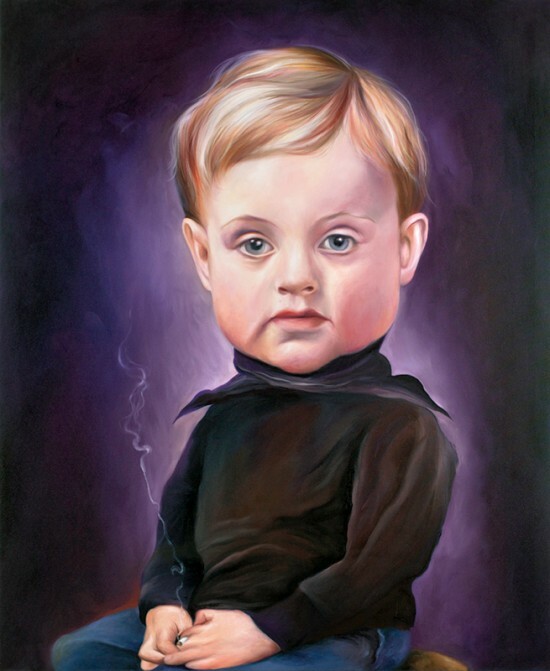 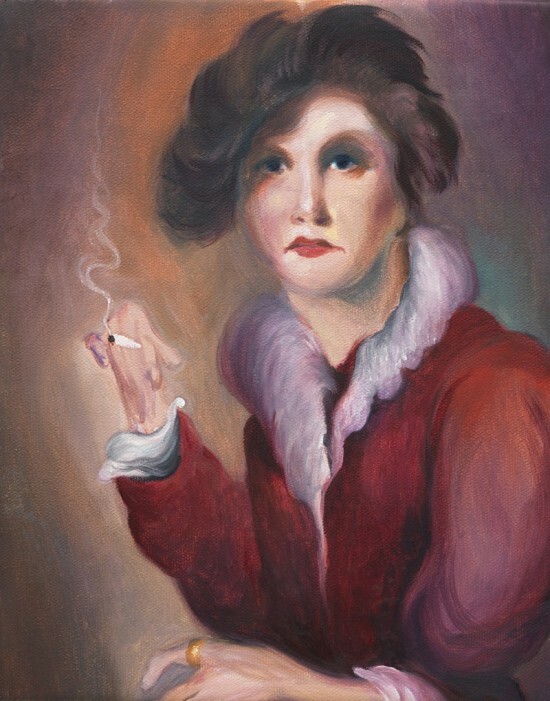 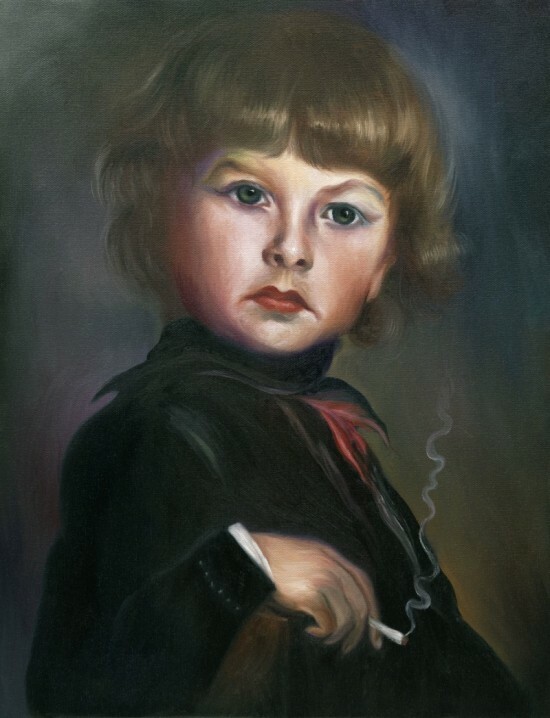 Continuing the artist’s longtime fascination with beauty and loneliness, glamour and death, Hod’s aristocratic young Geniuses inhabit a world of paradox, where their cherubic cheeks contrast with their scornful expressions and lit cigarettes. 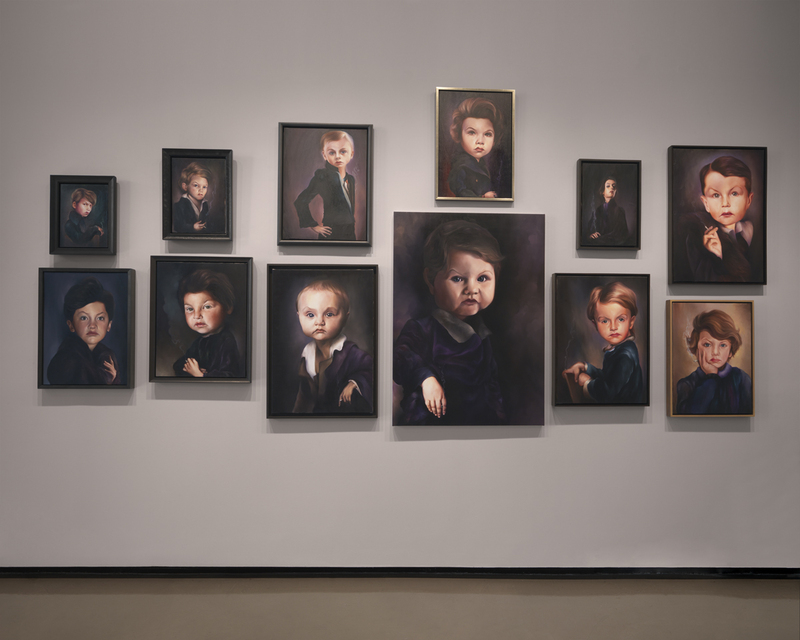 Philosopher Roy Brand describes them as “…little demons without disguises. 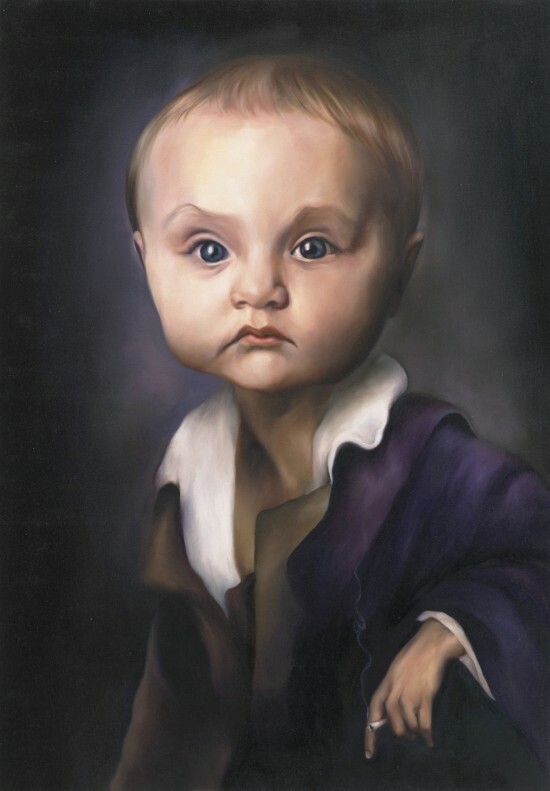 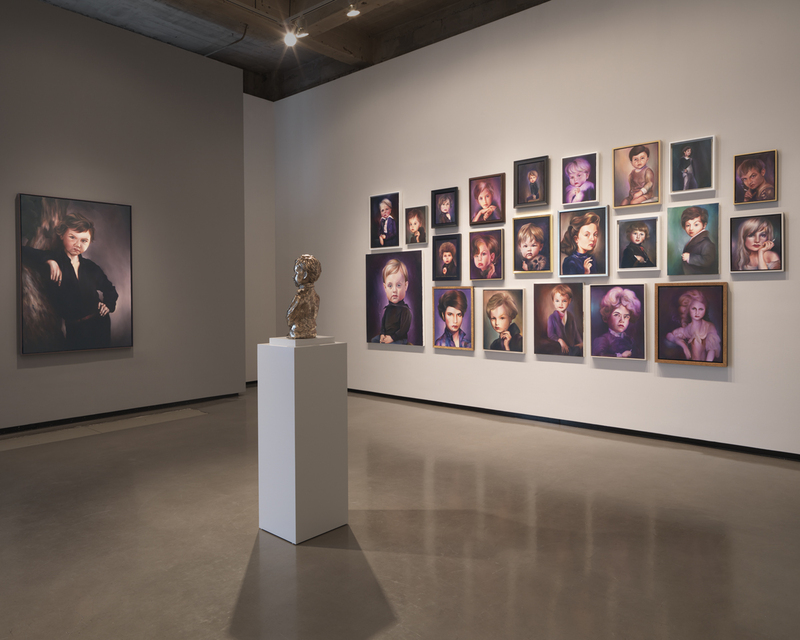 But they are also yearning, beautiful, and charming, and their narcissism is more a sign of internal happiness than of vanity.” Like sculptures in a wax museum that aim to dramatically freeze time, these paintings explore art’s power to capture life while simultaneously elevating it to depict an unattainable ideal. 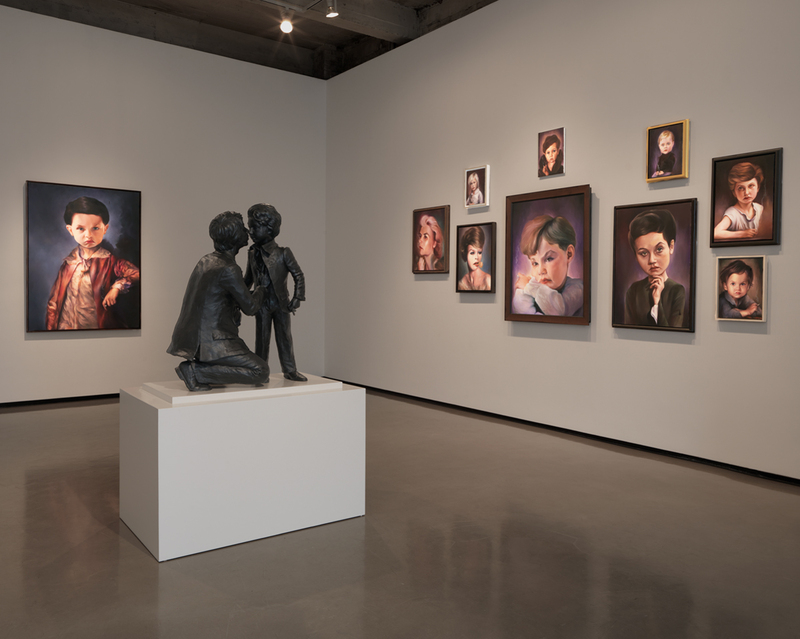 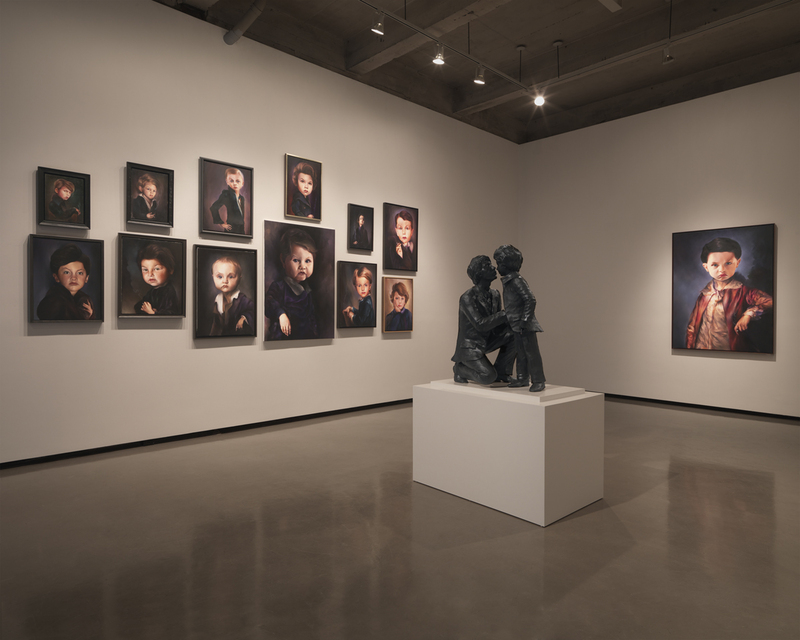 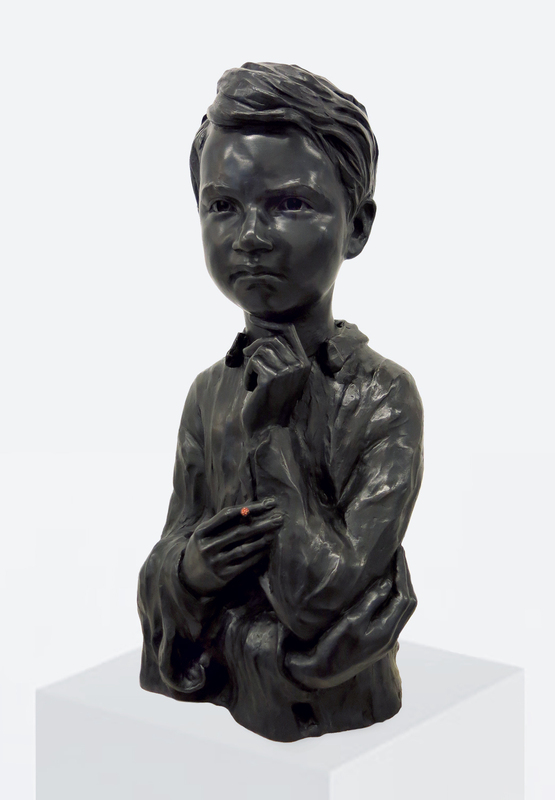 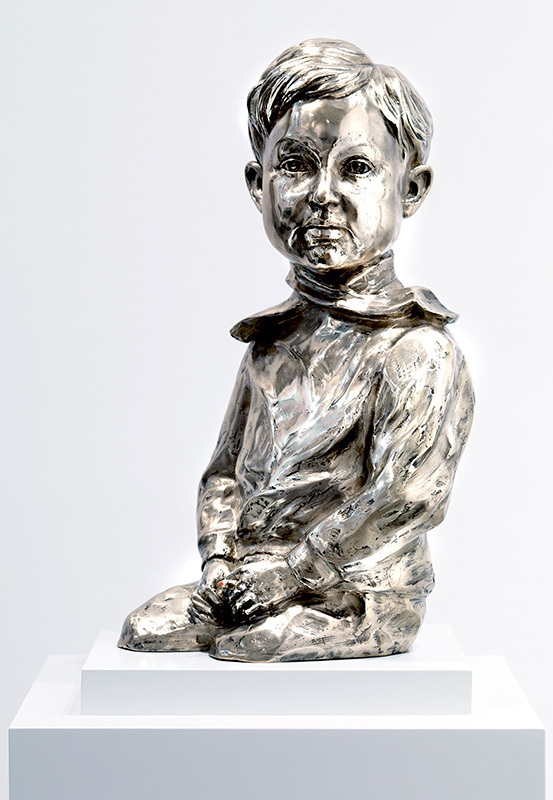 Hod’s bronze “Genius” sculpture accentuates the vulnerability of these child prodigies by pairing the knowing expressions and eerie self-possession of the painted Geniuses with the sculpture’s diminutive body. 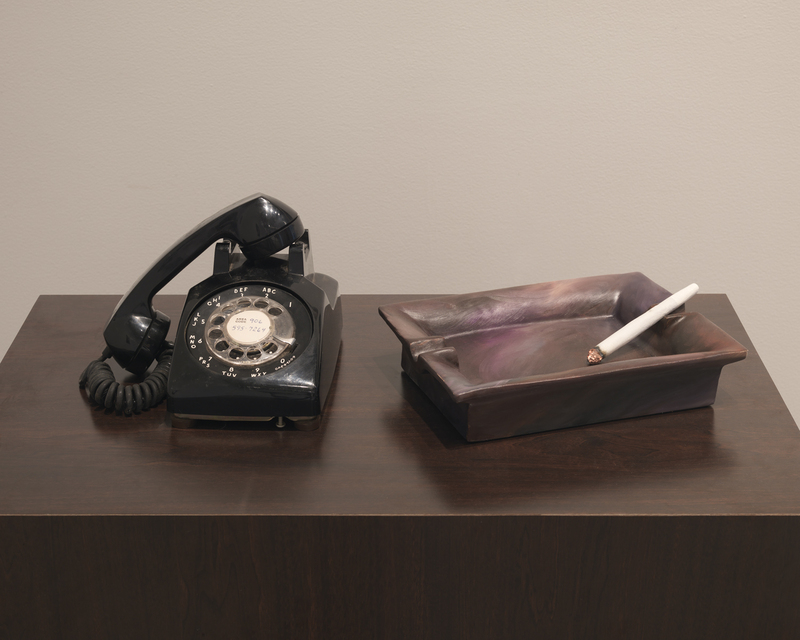 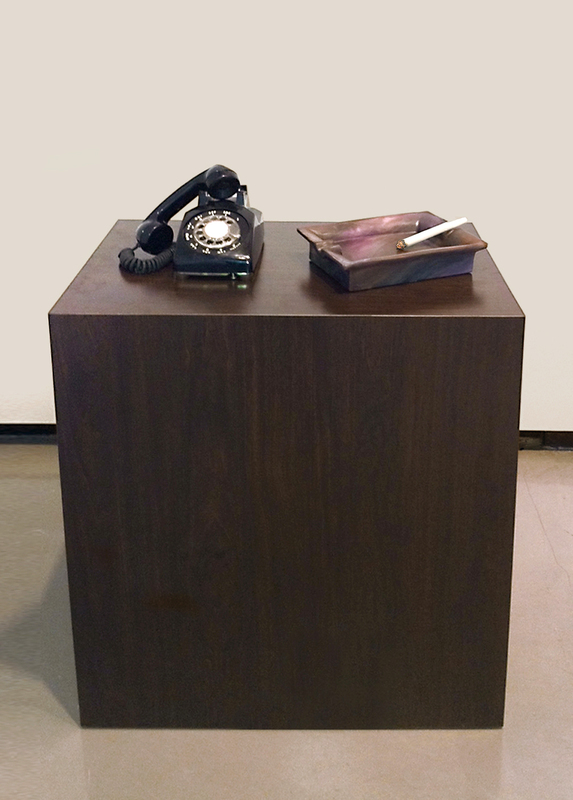 His ashtray sculpture—in which a cigarette smolders alongside the music wafting from an abandoned telephone receiver— furthers the exhibition’s aura of decadent fantasy. 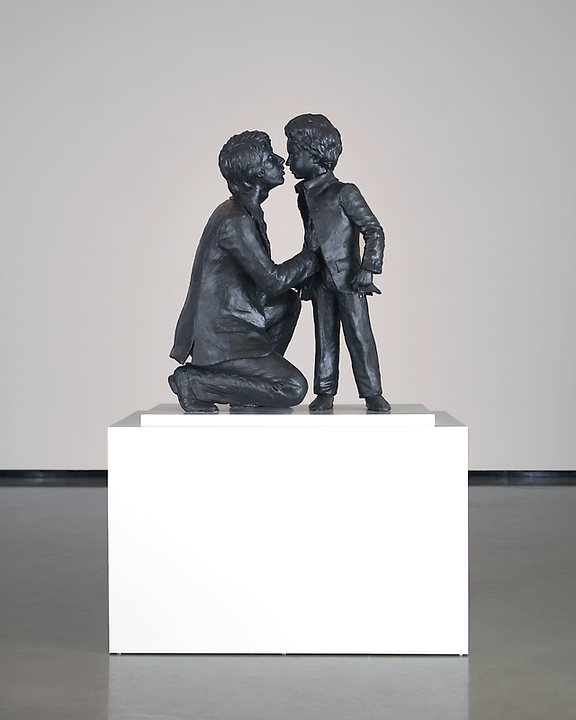 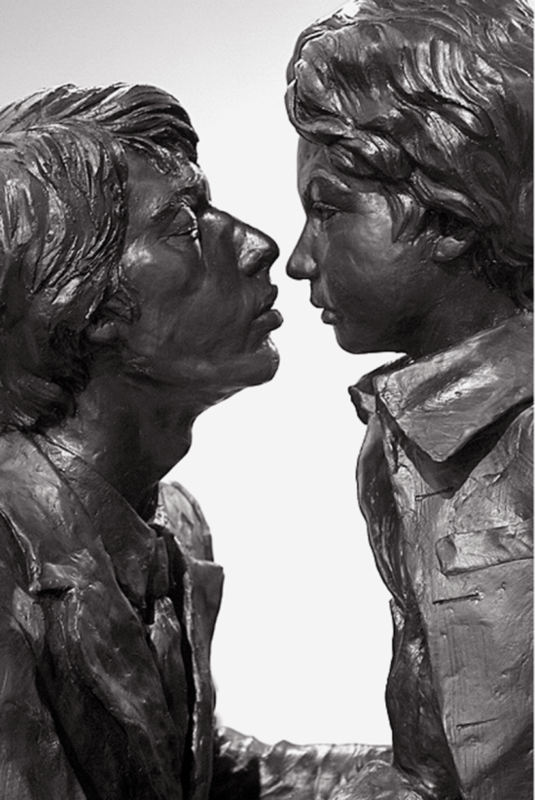 In the nearly life-sized “Father and Son” sculpture, a father kneels before his domineering son, embracing him with a gesture that seems equally affectionate and fearful. 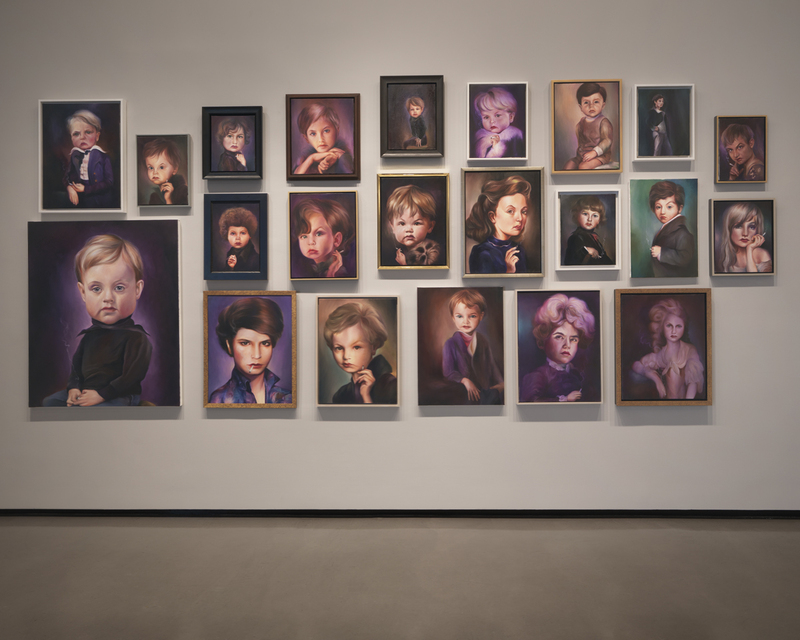 For Hod, this work illustrates a less literal usage of the word “Genius,” wherein extravagant behavior creates a cult of personality, like the ones surrounding dictators, celebrity eccentrics or Mafioso.